Fresh Look Homes Ltd - Fascia/Soffits/Guttering based in Highwoods, Essex. For all your cladding, fascia soffits or guttering requirement. We offer a free, no obligation survey and fixed price quotations. We will explain the specifications of each respective material, giving information on the available colours and fixing options, to facilitate your particular requirements and budget. These improvements can substantially enhance your property's appearance with the added benefit of addressing water proofing and insulation issues of external walls, all of which are maintenance free and will increase the value of your home. 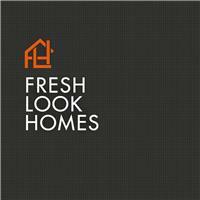 Fresh Look Homes are specialist in the following. 1/ Personal and professional service by fully trained and qualified, experienced personnel. 2/ Installation and material warranty. 4/ We are customer focused and committed to providing a quality service. Our future depends on your satisfaction. 5/ No extra scaffold cost after the quote has been given unlike a lot of companies. Please ring Richard on 01206 751377 to discuss your requirements.